Our universities motivate students to be dishonest. Here’s how to fix them. When the fall semester opens at Harvard University in just a few short weeks, the campus will still be echoing from the cheating scandal last year that saw the suspension of more than 60 students in a government course. The scandal grabbed attention because of the shock value of the headline’s pairing: Harvard students and cheating. Most commentators zeroed in on the students—apparently lazy and dishonest, for all their talent—or on the hypercompetitive culture of America’s most prestigious university. Still others suggested that cheating has become commonplace in our schools as the result of the increasingly amoral larger society in which they operate. What these arguments have in common is the assumption that students are cheating much more than they used to. In fact, the rate of students who admit to cheating at least once in their college careers has held steady at somewhere around 75 percent since the first major survey on cheating in higher education in 1963. But 75 percent is a disheartening number for faculty, future employers, and the parents who are footing hefty tuition bills—not to mention for the five students out of every 20-person seminar who have pursued all their work honestly. College administrators largely seem to have accepted the notion that the blame for cheating lies either at the feet of morally bankrupt students or within the overall campus climate. 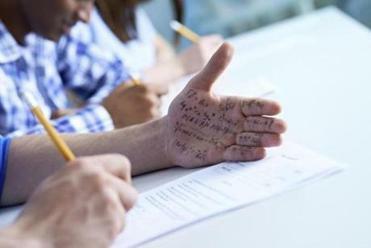 As a result, their efforts to reduce cheating have focused on creating first-year orientations or seminars on academic integrity, or on instituting deterrent measures like suspensions or expulsions for cheaters who are caught. But the stability of cheating rates over the past 50 years suggests that these efforts are not having their desired effect—and an interdisciplinary new line of research in education and psychology may help explain why. Increasingly, these findings point to a radical proposition: that the very nature of the college education we provide to our students, in both its design and delivery, may turn out to be the deepest cause of cheating on campus. In other words, it may be that cheating rates are so high because too many university curriculums and courses are designed for cheating. And, based on current trends in college education, the problem may be about to get worse. We like to believe that people engage in dishonest behavior because they are dishonest. But recent research into cheating and dishonesty suggests a different conclusion: Most of us are willing to engage in acts of dishonesty under the right circumstances. As behavioral economist Dan Ariely demonstrated in a fascinating series of experiments and reported in his book “The (Honest) Truth about Dishonesty,” the extent to which people are willing to engage in acts of cheating and dishonesty “depends on the structure of their daily environment.” The structure of that environment proves more influential than an individual’s ethical profile or some general cultural milieu. At the same time, researchers in psychology and education have been slowly gathering evidence that certain features of the college curriculum, course design, and even daily classroom practice can either induce or reduce student cheating. And in gaining a new understanding of the problem, they are opening the door to possible new solutions. Perhaps most central is the question of how the university and its faculty motivate students to learn. Educational researchers typically distinguish between two broad types of learning motivation: extrinsic and intrinsic. Students who are driven by extrinsic motivation seek external rewards for their learning: They want praise from the teacher, they want good grades, they want honors and awards. Students driven by intrinsic motivation, by contrast, seek to understand the course material for its own sake; they find it fascinating, or useful, or meaningful, and relevant to their lives. Students driven purely by extrinsic motivation, it turns out, are more likely to cheat. They care about the reward for learning—the grade, the Latin honors—rather than the learning itself, and are willing to cut corners to get that reward. If they don’t see how the course material is relevant to their lives—or if the instructor cannot help them see it—they never develop the intrinsic motivation that leads to deep learning and makes cheating less likely. At most American universities, it’s traditional to begin the educational process with a type of class that sets up those motivations exactly wrong. Consider your typical introductory college lecture course. A student enters Major University and enrolls in History of Western Civilization. She is told this class is a requirement she must fulfill before she can take the upper-level courses she wants to take in her major. Because of the large size of the class, it consists of weekly lectures, in which the professor covers the key events and trends of a thousand years of western civilization. Grades will be determined by three exams. The professor warns students that those exams are difficult, and that only the best will earn the coveted As. 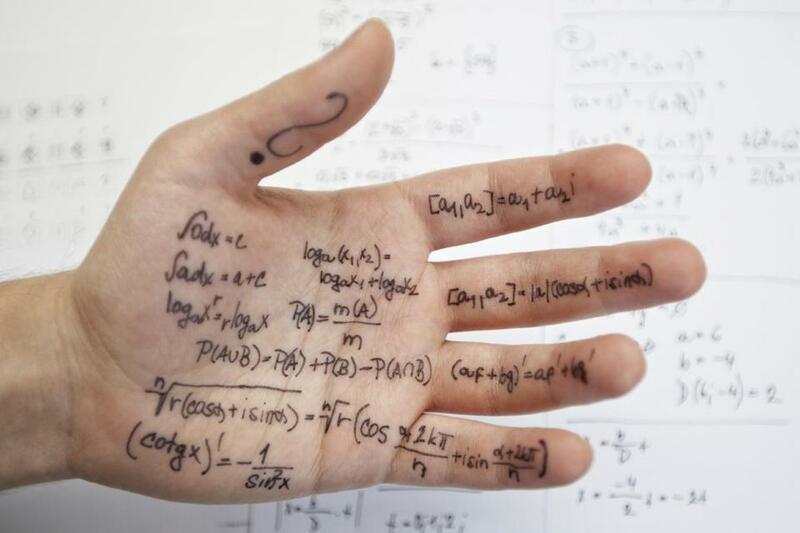 An introductory course like this contains several other features that researchers suggest are likely to induce cheating. Courses that rely upon infrequent, high-stakes assessments (such as three exams and nothing else) put intense pressure on each of those grade-earning opportunities, and ratchet up the incentive to cheat on each one. The professor’s warning about the difficulty of his exams and the accolades for students who earn high grades emphasize performance over learning—which also encourages cheating. Finally, the large class size makes it difficult for the students to develop a personal relationship with the professor, and this impersonal learning environment leads to higher levels of academic dishonesty as well. We welcome students to campus with required classes that nudge them toward academic dishonesty from the beginning. It should come as no surprise that students are less likely to cheat in upper-level classes in their majors: These tend to be smaller, more personal, more focused on the students’ own interests, and in general far more intrinsically motivating to students. But we welcome students to campus with required (and often overstuffed) classes that are designed to foster extrinsic motivation—and that nudge them toward academic dishonesty from the beginning. To tackle the cheating problem, we need to redesign college classes to help students develop motivation of their own. Educational theorists tell us that people learn best when they are trying to answer a question, solve a problem, or meet a challenge that matters to them. You engage in intrinsically motivated learning when you research medical treatments for your sick child, learn about plumbing techniques to renovate your bathroom, or study Italian history in preparation for your trip to Rome. In those cases, you are learning because you see your subject matter as relevant to your life or your future. Many colleges and universities have made small-scale experiments with classes that tap into intrinsic motivation. Consider, for example, the Great Problems Seminars at Worcester Polytechnic Institute, an interdisciplinary first-year sequence of courses that asks students to confront major world problems and devise solutions. Students can elect to “solve” the problem of feeding the ever-growing world population with limited resources, or powering the world through economically feasible, sustainable methods. Courses are team-taught by faculty from different disciplines, and driven by student research. The history of western civilization looks quite different to a student charged with solving a fascinating great problem than to his peer in that introductory lecture course. Instead of seeing an endless series of names and dates, the students in a great problems seminar learn to look to history as a trove of experiences that may be useful to apply in the present. In a course like this, it would seem, there is little incentive to cheat. We know, in other words, how to build classes that lower incentives for cheating—they are the same type of classes that create better environments for learning. Unfortunately, many college and university administrators see dollar signs standing in the way of large-scale efforts to revamp the curriculum along these lines. Driven by budgetary pressures, they are turning in precisely the wrong direction, electing to push students toward massive, open online courses modeled on traditional classroom structures. An online course in the history of western civilization taught by a star professor giving high-tech video lectures just transfers the problems of an on-campus introductory lecture course to a larger and even more impersonal stage. But in spite of what cost-conscious administrators may fear, the changes suggested by this research do not necessarily mean smaller (and hence more expensive) classes. Students do cheat more in larger classes than small ones, but I suspect this stems more from course design than course size. Large classes are most likely to take the traditional approach of “coverage” of a subject, with little thought for how the material being covered matters to the students. Though small classes are nice when possible, what colleges really need are courses that have been designed with intrinsic motivation in mind, and that tap into the problems, questions, and challenges that will inspire students to learn deeply—and honestly. None of this is to say that the Harvard students are innocent. Students who cheat in higher education deserve appropriate punishment; we will not solve this problem by blaming ourselves and letting students off the hook. But as the pressures to make classes bigger and more economically efficient grow stronger, we should continue to monitor cheating rates in higher education—not simply to measure the moral values of our students, but as a barometer that can help us understand how well we are motivating them to learn, and how we can continue to improve. James M. Lang is the director of the Center for Teaching Excellence at Assumption College, and the author of “Cheating Lessons: Learning from Academic Dishonesty” (Harvard University Press).